Free printable art for kids is one of my favorite things to create, and always a reader favorite. 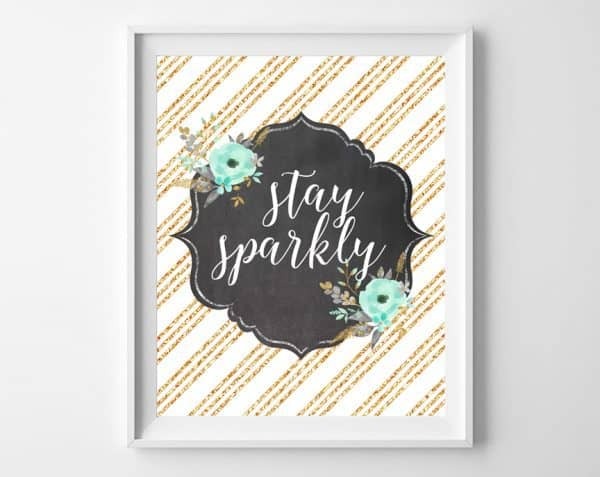 Printables are such an inexpensive and fun way to change out your decor on a whim! Today, I’m offering two gorgeous, floral-themed printables in mint, gold, coral and aqua! 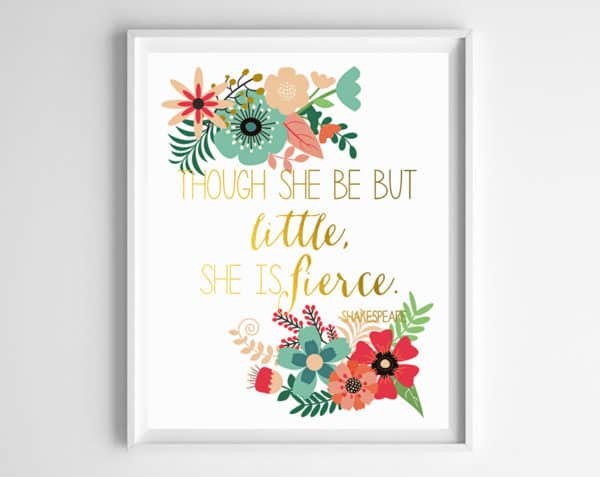 Featuring two of my favorite quotes, these are perfect for your little one’s nursery, baby shower, or to give as a gift! Choose your printable(s), download to your computer, and send to your favorite photo printer. 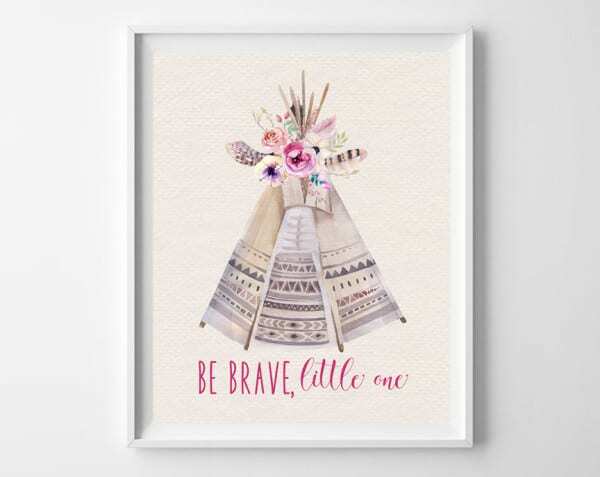 Printables print best at 8×10 on matte cardstock or glossy photo paper. 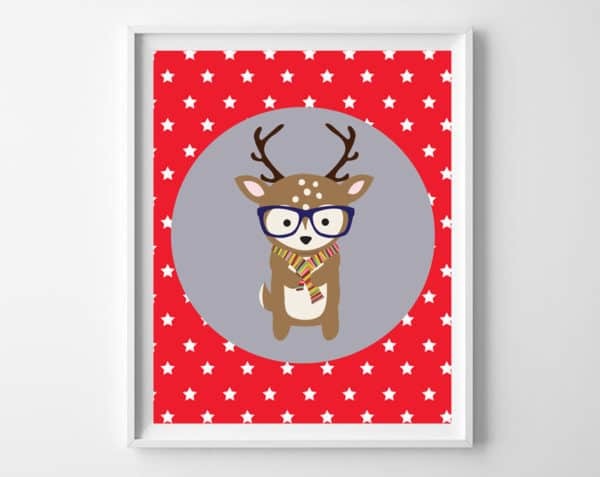 And this link has 50 free printables for boys! 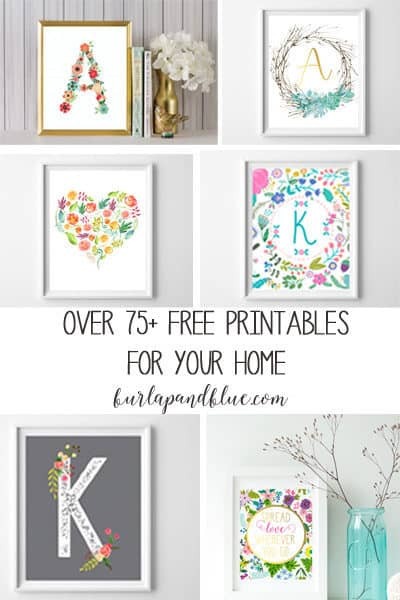 Lastly, here is a compilation of over 75+ free printables for your home! 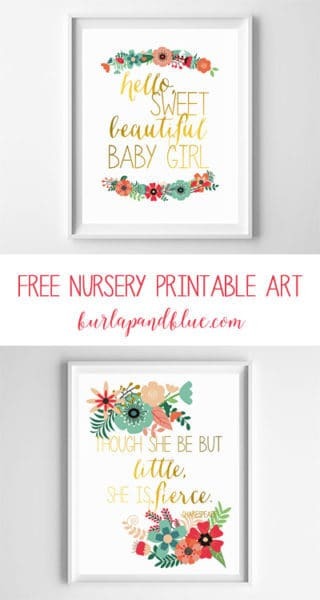 Thanks for reading all about my nursery printables. Have a fantastic day! They are amazing! My cousin is having a baby shower this month, so I guess that could be a perfect gift for her. 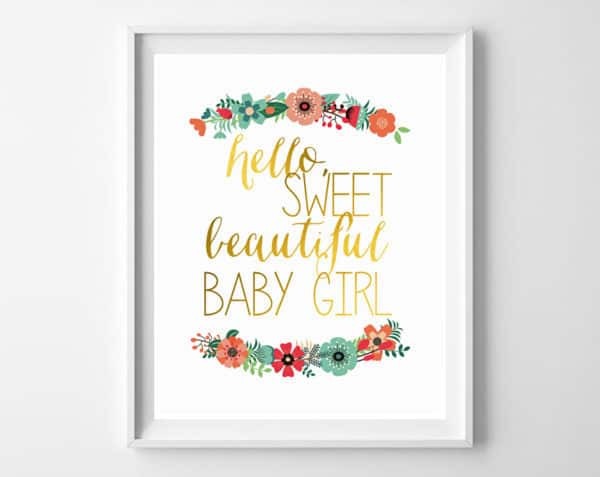 Despite the fact that she is having a tough time after college graduation and exams, she’s a positive person with a good sense of fashion, so I think the printables are wonderful for her nursery.